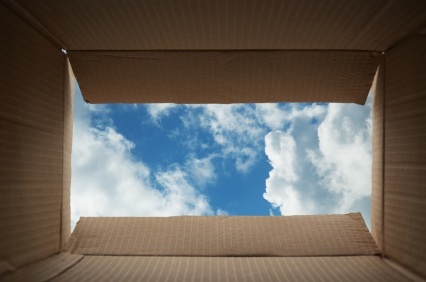 A popular saying tells us to “think outside the box.” However, without much thought, as teachers, we force our students to do much of their thinking “inside the box.” I’m referring to a very large box known as the classroom! Let’s consider this for a moment. Is the physical classroom always a necessity? Why do we teach there at all? Are we tethered to a whiteboard or a digital projector? As teachers, do we feel more comfortable when our students are seated in nice, neat rows? Are students merely sponges that sit dormant and soak up information as it is presented or are they something more? Perhaps, given the opportunity, students who are seeking deeper learning experiences would benefit from a trip outside the box (classroom)? A teaching method known as “flipping the classroom” may provide some help. First introduced in an article, titled Inverting the Classroom: A Gateway to Creating an Inclusive Learning Environment by Lage et al. in 2000, this method of teaching has become popular with many teachers. The concept involves providing students with course content ahead of time so that when class meets, the focus can be on application. Many believe that this allows more time in class for deeper discussions, reflection, and problem solving. Let’s consider building on this idea. Perhaps we could not only flip the classroom, but vacate it all together. If you provide students with instruction (digital recordings, notes, PowerPoint presentations, etc.) via Canvas, this should help ease your dependence on the traditional classroom. This will allow you to meet with students anywhere you find opportunities for learning. under a bridge for a civil engineering course for a discussion on the different types of trusses; the benefits and drawbacks of each. Obviously, there are factors to consider such as weather and transportation. Backup plans, dressing for the weather and carpooling can help in managing these concerns. In some cases, for some disciplines that include lab work, classes need to meet where the equipment is located. That is true. However, there are many classes where a professor stands in the front of the room and refers to a screen or to something that they have brought with them to illustrate a point. Speaking of “boxes,” one might argue that certain class meeting schedules act to restrict learning. Are we beholden to our traditional class schedules of 50 minutes three days a week or one hour and 15 minutes two days a week? Is that the best way to learn; to teach? In a sense, we have “boxed” our students as well as ourselves into a corner. What’s holding us back when it comes to teaching and learning? Lage, M. J., Platt, G. J., & Treglia, M. (2000). Inverting the Classroom: A Gateway to Creating an Inclusive Learning Environment. The Journal of Economic Education, 31(1), 30. doi:10.2307/1183338. For many years I have used experiences as a way for my students to learn key concepts we discuss in class. I can’t think of a better way for students to learn something than to apply what they hear and see in the classroom to a real-world situation. After all, isn’t that what we hope they will be doing once they graduate? Isn’t that the goal? Before a student can take what they learn in the classroom and apply it to situations involving real people, they must understand the people, places, and things they will be working with. Developing empathy can help guide students to make decisions that consider many factors affecting those they serve. We must understand where each of them is coming from, their background, support group, obstacles and apprehensions. Only when we truly know our students can we appreciate and provide for their educational and professional needs. As a recreation teacher, I have the challenge in my Leisure and Aging course of helping 20-something-year-olds understand and appreciate what it means to be old in our society today. Through a series of age simulated activities, students get a feel for the sensory, physical, mental and social challenges today’s seniors face in their lives. My hope is, that through these exercises and experiences, my students will develop empathy for the older adult population. In Krznaric’s talk, he shared an example of where Patricia Moore, a 26-year-old industrial designer in the late 70s wanted to know what it was like to be old in America. She went about answering the question by dressing up as an 80-year-old and visiting more than 100 U.S. cities during a three-year span. Her experiences contributed greatly to our understanding of universal or barrier-free design. I would imagine that this same principle could be applied in many different courses from social work to business. In fact, during his talk, Krznaric suggests that it is not enough to just understand the so called “have nots,” we must also understand and empathize with the “haves.” In other words, we must empathize with both the homeless as well as the wealthy. Krznaric goes on to suggest that we all must “practice the art of conversation” in order to empathize with others. With ever evolving communication technologies, it would seem that our students are communicating more than ever before through texting and social media platforms such as Snapchat, Twitter and Instagram. It’s enough to make your head spin. With all of the tweets and self-destructing video clips, how much are they really communicating? As teachers, how can we facilitate conversations between our students and those they work with as well as those they serve? How many opportunities do they have in your course to have these types of conversations, leading to understanding, and potentially empathy? As a teacher in a human service discipline, I have an appreciation for the power of empathy. I have seen firsthand how my students grow as people and professionals when they develop empathy for others. I encourage all of us to dig deeper in order to better understand the connections between empathy and learning. Take a moment to reflect on all (or as many as you can remember) experiences that you have had in your life up to this point. Think about how each of these experiences has helped shape and inform the understanding you have of your environment, others, as well as yourself. Now, try to systematically replace each of these experiences with a classroom lecture that is meant to have the same effect. Pretty hard to do, right? We have all heard the saying “experience is the best teacher.” If this saying holds true, why not look for ways to give your students more experiences? As an undergraduate, some of my most rewarding and meaningful college courses involved hands on experience. 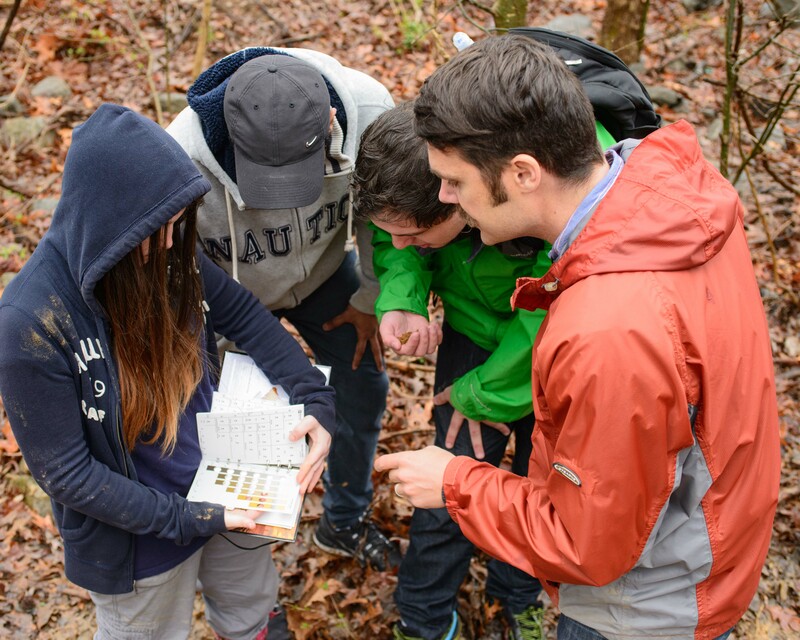 A geology class included field experiences on campus where there was handling of rocks. “Ecology” did involve endless overheads, yet culminated with a trip to an area stream to test for water quality. We found E. coli and made a report to the managing agency. One of my first education professors spared no time in getting us out of our classroom and into a middle school classroom. What better way to learn about an academic subject than through experience. An excellent theoretical framework that has helped countless educators understand and find ways to use experience in support of academic goals and course objectives is Kolb’s (1984) Experiential Learning Cycle. The cycle follows a four step process. Once the initial, background information is presented in a course, a “concrete experience” is introduced, followed up with a time of facilitated “reflection.” The experience will then be connected back to the relevant academic theories and principles. This is known as “abstract conceptualization.” A student then takes this new understanding, based on a concrete experience, reflection, abstract conceptualization and looks for ways to modify future experiences (active experimentation). Learning through experience goes much deeper than merely digesting the subject matter. In addition to learning the academic content, I believe that the “hands on” nature of each experience provides much more. Experience provides context - a way to understand the academic subject in light of a bigger, broader picture. In essence, through experience, a student is able to see how the academic subject matter applies to solving a problem, impacting a situation, and making a difference in their world. I didn’t fully understand this until I took my first statistics course in graduate school. Numbers actually represent people, things, and places. Not only did I learn how to apply statistics to real-word situations, as a future educator, I learned that applying statistics to real-world situations was a very effective way to teach statistics or most any subject matter. I encourage the reader to consider ways to engage his or her students in meaningful, authentic experiences leading to better understanding and appreciation of academic subject matter in the context of real working and world environments. Please let me know if you need help. Kolb, D. (1984) Experiential Learning: experience as the source of learning and development New Jersey: Prentice-Hall.